Down a 2 mile dirt path in the town of Alachua you’ll find Santa Fe River Ranch and it’s pure magic! What a stunning property to exchange vows! 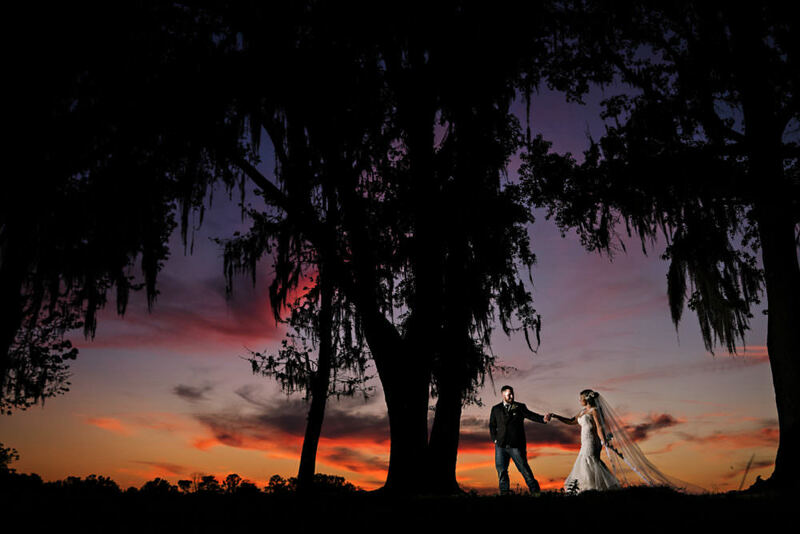 You’ll find yourself amongst a sea of oak trees filled with Spanish moss, ponds, pastures complete with cows and endless landscapes. The reception space is a combined barn and ballroom, but this is not just any barn space, it’s a masterpiece complete with chandeliers, sectioned spaces for the bar, photo-booth and seating areas and twinkle lights to bring a warm beautiful atmosphere. Ever detail of this space has been carefully selected and it is clear they take pride in it. Any couple should be thrilled to marry at this beautiful property and they will have no shortage of beautiful areas for their portraits!